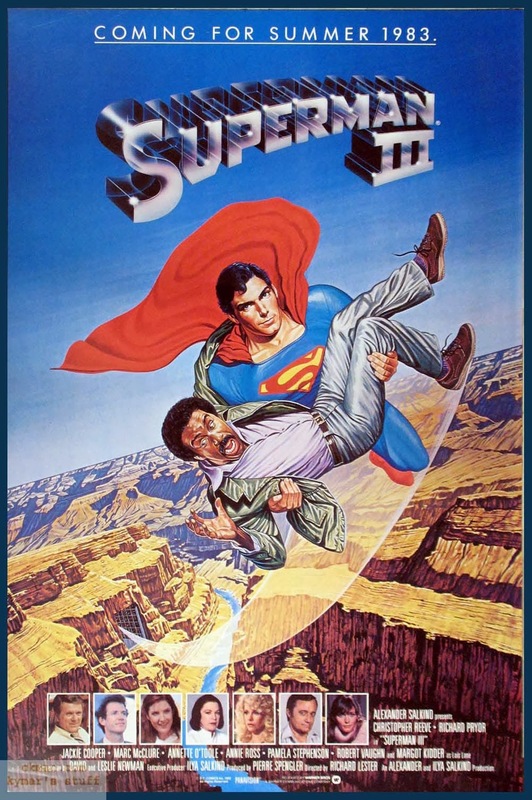 ... starring Richard Pryor and co-starring Superman. I've got so many things to say about this movie but I'm not sure where to start. For one, this movie is pretty bad. I've just watched all four of Christopher Reeve's Superman for nostalgia's sake and for Superman II: The Richard Donner Cut (2006). I love part one and both versions of part two despite some nagging inconsistencies. Some people say Part IV: Quest for Peace is the worst Superman movie ever but I think Part III was the bigger disgrace. Comedy that I call 'cringe-camp' and Richard Pryor was miscast. Sorry to say his scenes were painful to watch and it dragged on and on. 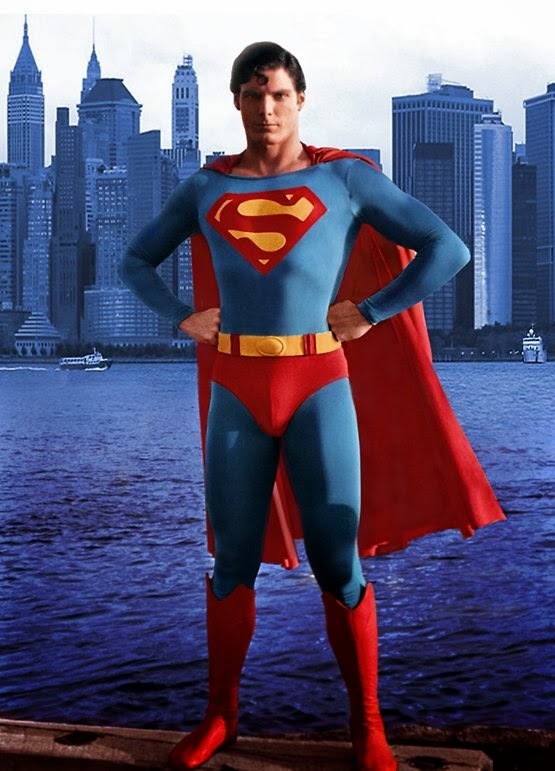 The only good thing about the film was Christopher Reeve, especially the junkyard scene. That was excellent imo. But the movie was haphazard, bipolar. Many unnecessary scenes in different tones... who wrote this??? Yes, part IV had their fair share of bad script, silly nonsense and lazy effects (due to budget being slashed half), and appeared rushed but at least it had Lex Luthor, Lois and a beefcake supervillain. It was a pity they fumbled with part III and IV because it had potential to be a strong franchise and Christopher Reeve didn't get his Superman V.
Oh and I like this version of the costume best. So here's little me, mid-1980s, it was a Sunday evening, I looked forward to finally watching Superman III on prime-time TV (on my dad's nice big screen too!) Christopher Reeve was my childhood hero then, so yay my brother & I were allowed to eat our dinner at the living room & watch TV. And.... there's this black guy for a whole chunk of the time, Lois Lane takes a hike in Bermuda and disappears with a new lady replacement Lana Lang (a klutz). That's ok. As a 5-6 year old, I didn't understand much of it except for the campy bits... I took the movie as Superman's 'sidequest' and a comedy. Then somehow the movie took on a darker tone, Superman became bad and I had to watch Clark Kent getting crushed by a compactor. That was scary, see because I love Clark Kent and he was getting meat-grinded literally by evil Superman. But he survived so I was relieved. Was this meant to be a kid's movie anymore?? 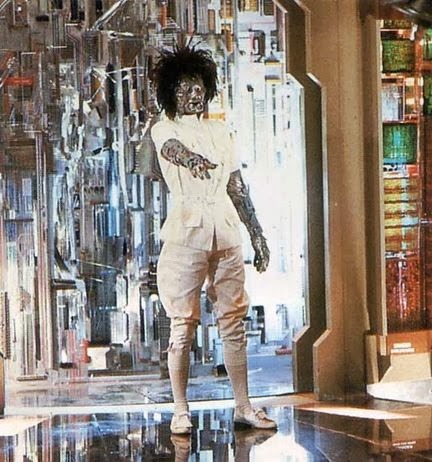 Anyhow the rich villain had a super computer and it went into HAL-9000 mode and sucked his sister into the chamber and melded metal parts onto her and transformed her into a cyborg. Damm! Talk about ultimate horror scene. I wanted to run away or switch off the tv so I didn't have to see or hear the scene anymore but I just FROZE lol. I wanted to close my eyes but they were glued onto the screen and I had to watch that monster of bad hair, metallic eyes (ouchies), circuit branded flesh, her tin-woman swagger, and shooting LASER OUT OF HER FINGERTIPS!! WHAT'S WORSE IS SHE HAS THE SAME NAME AS ME! The effects look laughable now but back then it was real enough. I mean look at her!! It wasn't a puppet or animation (like the cool Talos in Jason & the Argonauts), it was a real human in costume. I bet they didn't test screen this movie with kids! Does that explain why I never saw Superman III on tv ever again? Yeah I haven't watched this movie since I was 6 but this part was seared onto my brain forevermore. no I don't want to shake your hand. Superman failed to destroy the super computer on his first attempt and ran away (before she turned), leaving the other villains and the black guy to deal with the scariness. In my brain I was already imagining 3 more cyborgs in the works.... Yikes. I don't know if I was relieved that Superman escaped or terrified if he should return and I would have to bear with another Vera cyborg rampage. I thought it would be better if Superman just didn't return. I wondered how Superman dared approach that Abomination. I freaked out when Superman eventually got caught by the computer because I had anticipated and dreaded that. I remembered he defeated it quickly but I wasn't focusing on the movie anymore, only that he didn't actually KILL the cyborg! She turned back into human Vera... which doesn't make sense but who cares. I wished Superman killed her because I thought the computer was going to resurrect (like all horror movies at that time). The following 2 nights I had nightmares about the cyborg. In my memory I recall Superman fighting the cyborg on top of a speeding train and she wouldn't die.